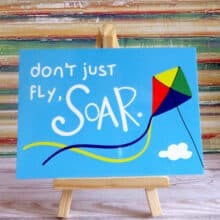 On this March 23, Saturday morning, we are looking at the Breezy Kite Postcard I’m seeing on Etsy. It is perfect timing with the weather and to find the American Kitefliers Association (AKA) Calendar. There are kite flying events this weekend, and we can look at the entire calendar of upcoming events. From my Enjoying Whimsy 3-04-2015 daily blog post #07! Before beginning, the countdown continues with today being #1487 AnchoredScraps daily blog post. It is less than 2 weeks away from celebrating the #1500 Milestone! When blogging about Kites along with some kind of letter writing aspect, I’m probably always going to remember my daily blog post # 07, Enjoying Whimsy as it was my first kite flying post to write (3-04-2015 Let’s go fly a Kite!). I’m including the image from the post. 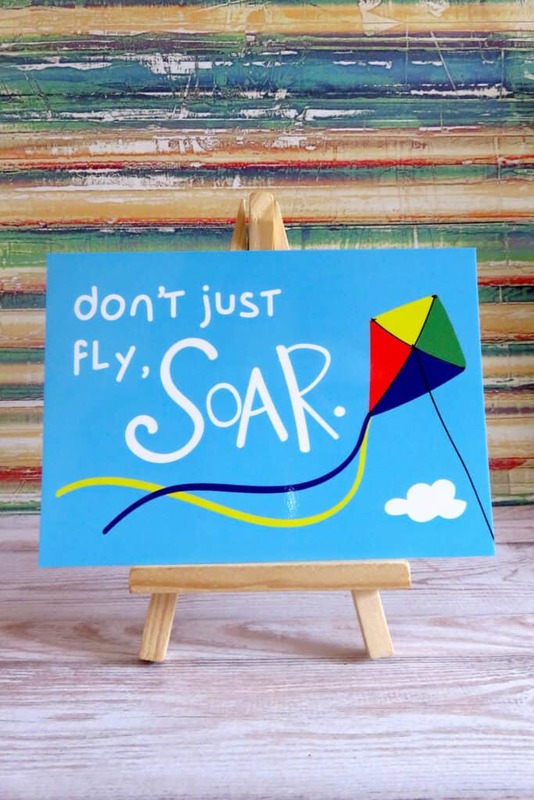 The illustrated positive postcard, Breezy kite “Don’t just fly – soar” is by Tisetas&Co. Furthermore, their Etsy Shop tagline is “Positive & real stationery and gifts”. Be sure to allow for shipping time from the United Kingdom. The pricing is showing $1.36 for each Breezy Kite Postcard. Dimensions are 4.13″ x 5.82″. This link to the American Kitefliers Association (AKA) Calendar listing shows current and upcoming 2019 events. 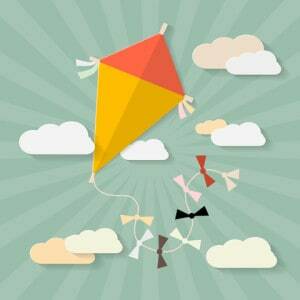 Have fun not only kite flying but also soaring!